We are talking two very important topics on the blog today. Number one: Crispy Dark Chocolate Nutty Cups. Number two: My Latest Probiotic Craze. Not exactly two things that go hand in hand often but today they do because the brand Silver Fern, plays a role in both of these topics. Let’s start with topic number one, Crispy Dark Chocolate Nutty Cups. As someone who used to live to get those crunch bars on Halloween, I am seriously excited about this recipe because we are making those but 1000000x better for us. For starters we are using dark chocolate chips (I used these) that are free of the top 8 allergens and they taste absolutely amazing. I have been on a no soy kick for awhile now and finding soy-free chocolate chips has not been easy. Plus for that crunchy texture in the cups, we are using toasted quinoa. 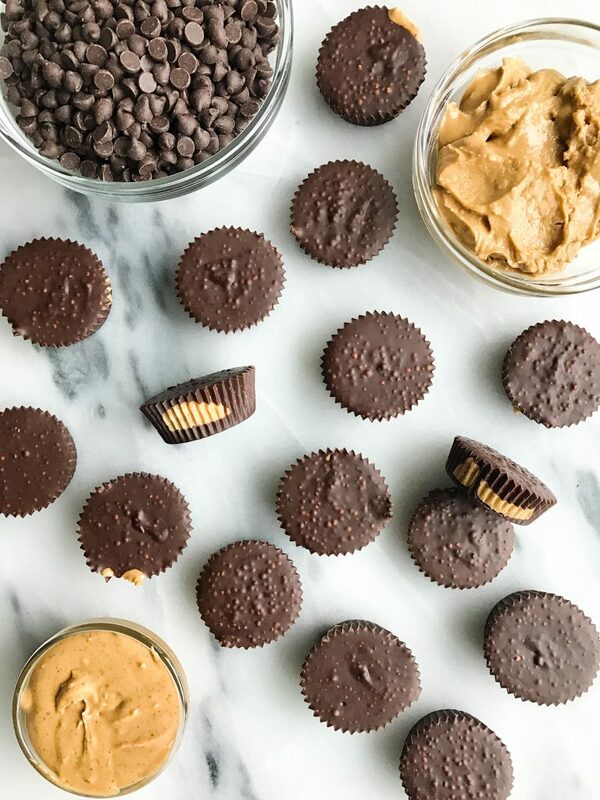 Quinoa adds more protein, fiber, iron and a ton of other vitamins and nutrients to these cups for us and it adds that extra crunch in the chocolate. 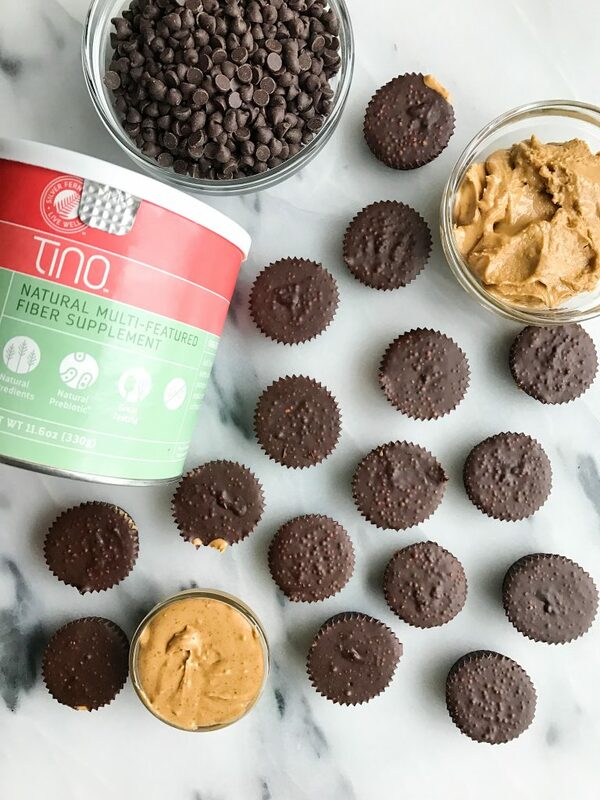 Filled inside the cups, I use a mixture of almond and cashew butter to get benefits from two different nuts AND we are using Silver Fern Tino High Fiber Supplement. It is ideal for baking in so many different recipes and even though it has a subtle flavor, you don’t even taste it in these. I wanted to add it these chocolate cups because it has a natural prebiotic, has 10g of fiber per serving and it can be used in anything you want (smoothies, oatmeal,etc.). Silver Fern’s Tino may improve overall gastrointestinal health, improve our digestive system, support bone health, provide joint support and more (full details here). And to be completely honest, anything that can help have a positive effect on bowel movements, immediately attracts my attention (oops). If you talk to me often, you know I am quite open about bowel movements and anything digestion related. Times like these make me wish I actually studied this in college because I actually get giddy talking about anything from our bowel movements to hormones, gut health and more. 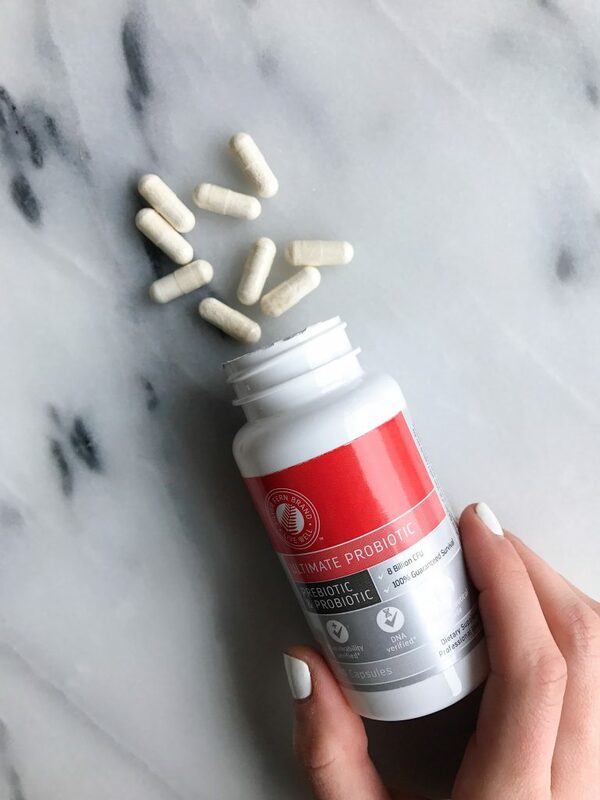 When Silver Fern Brand first reached out to me about their products, I literally said to myself “oh great, another probiotic company out there.” But after doing research on their products and testing them out myself, I was seriously impressed. They make a ton of amazing goods all focusing on changing the world and health and nutrition. They also have their Ultimate Probiotic, which is a prebiotic and probiotic blend. Compared to most probiotics in the market, Silver Fern’s is top quality and they pay attention to what they are giving consumers. Despite only having 8 billion CFU, the quality, survivability and functional benefits of what they offer is better than most other strains even if they have over 30 billion CFU. We are not going to get into the nitty gritty science talk here but my friend, Katie, gives another great post about it here (she is a smarty pants and is SO helpful). Jord loves taking probiotics and is quite picky with them too. He has been taking Silver Fern’s Ultimate Probiotic and has been loving it. After I read that 95% of probiotics do not make it to the intestines alive because of the poor quality, I was shocked. People are popping probiotics left and right thinking it is helping them with their gut. Silver Fern’s Ultimate Probiotic is DNA verified, improves digestion AND food tolerance, reduces gas and inflammation and more (their site gives a full breakdown). And they add a prebiotic to help active the probiotic bacteria in the intestines (winning). Add quinoa to a skillet over medium heat to begin by toasting the quinoa. Pop in freezer for 30 minutes then enjoy! *You can store in fridge for a couple weeks or freezer for longer in airtight container! Thank you Silver Fern Brand for sponsoring this post. It means so much to me to work with brands that I love and who support rachLmansfield! These are darling! And look super delicious! Never would have thought of adding quinoa;) What a clever idea! Wow, toasted quinoa was a really good idea. 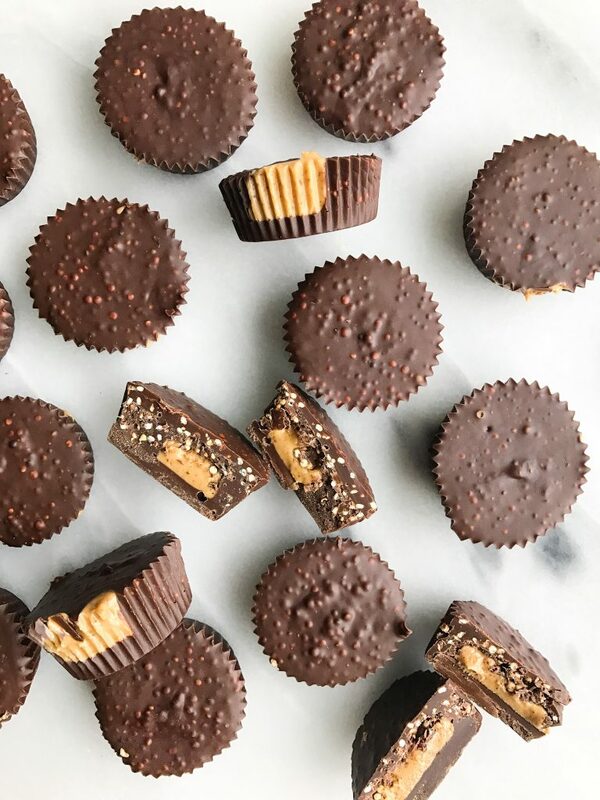 I have yet to make some nut butter cups; I need to try one of yours! thank you, Rachel. expecting my new addition to my healthy arsenal, tomorrow!! cant wait to try this one!! Could I sub peanut butter for the nut butters you used? Wow, these are great! So far I’ve made these with a maple peanut butter center, a smooth coconut butter center, and with almond butter in the middle (we can never keep cashews in the house). Each version was delicious! Thank you for posting the base recipe, as soon as I buy cashews in bulk again I’ll try the original recipe as well.